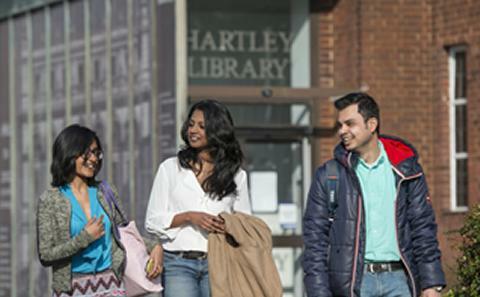 The University of Southampton is proud to partner with the British Council and GREAT Britain Campaign to offer prestigious scholarships to Chinese, Indian and Thai students under the GREAT East Asia and the GREAT India schemes. The application round for 2019 GREAT scholarships China has now passed. 1. Apply to an eligible masters level programme at the University of Southampton using the online form. 2. Complete the scholarship expression of interest form. Incomplete applications, or those that do not meet eligibility criteria will be removed from the selection process. Candidates will be notified of the outcome of their application by May 2019 and scholarships will be issued by October 2019. 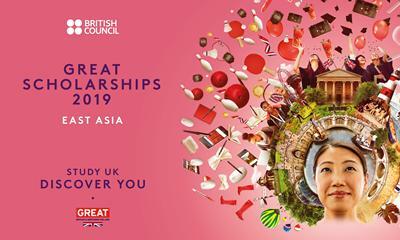 For more information on the GREAT Scholarships 2019, please visit the British Council's country website, where you will find the information both in Thai and in English. Deadlines: 8 May 2019 at 12 noon (GMT) Selected nominees will be invited to submit an application to the British Council, with a deadline of 31 May 2019. Complete the scholarship expression of interest form by 8 May 2019 at 12 noon (GMT). Please complete an expression of interest form. The University will select up to three candidates to nominate to the British Council and will invite them to complete the British Council’s application process by 31 May 2019. All unsuccessful candidates will be notified in early June 2019. Nominated candidates will be notified of the outcome of their application in July 2019. For information about the British Council GREAT Scholarships 2019 India, please visit their website. This year, in partnership with the British Council and the GREAT Britain Campaign, the University of Southampton will be offering two scholarships to students in China applying for postgraduate taught courses in all subject areas commencing their studies in September 2019. We are also offering a scholarship to students in Thailand applying for postgraduate taught courses in eligible subject areas, also commencing studies in September 2019. Every year, the University of Southampton welcomes a number of scholars from a variety of scholarship schemes. You can read about their experiences in Southampton on our International Voices blog. To request further information about the GREAT scholarships at Southampton, please contact the International Office at international@southampton.ac.uk. 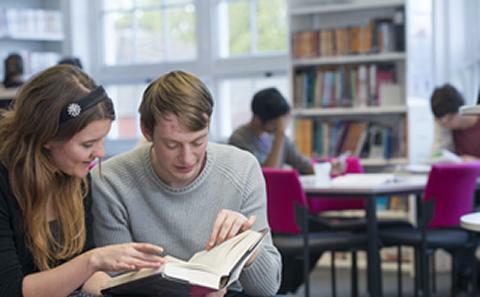 Find out about finances for international students, including tuition fees and scholarships. Choose from over 250 different postgraduate courses. Find out about the international student community at Southampton, our entry requirements and other information specific to your country.